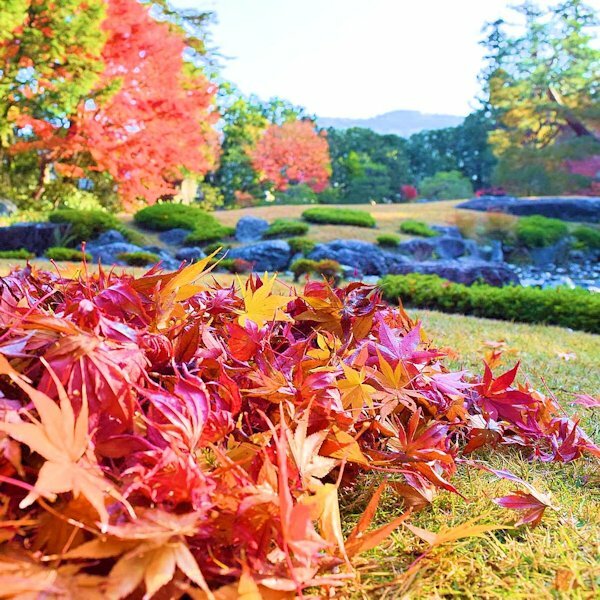 Pictures of fallen autumn leaves at Murin-an’s garden. 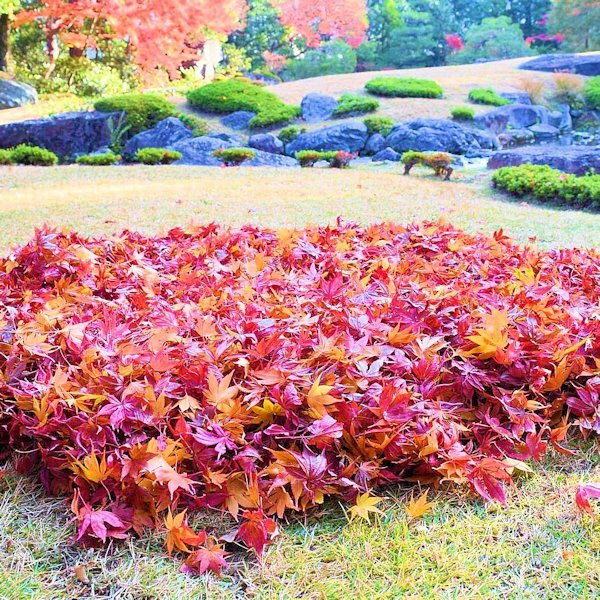 The reds and yellows of the gathered maple leaves still remain in beautiful condition. 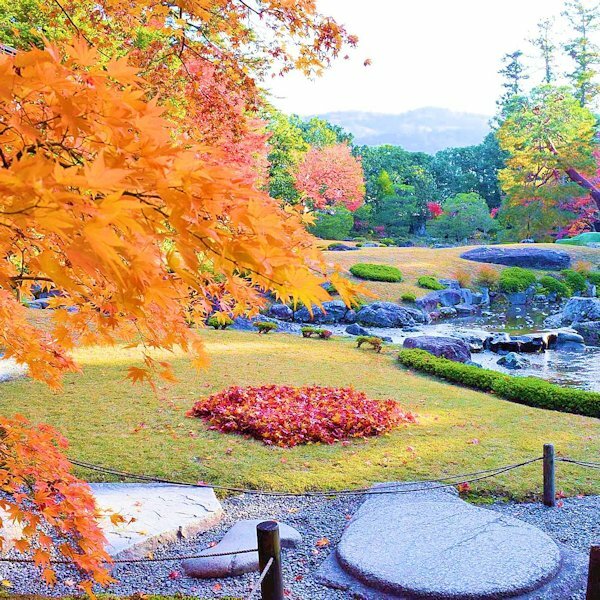 At Murin-an, the season of autumn colors continues.